Despite the fact that some details of their talks are not known yet, Katehon has the information about some topic of their conversation. The issue about protecting Christians in the Middle East, particularly in Syria was discussed. 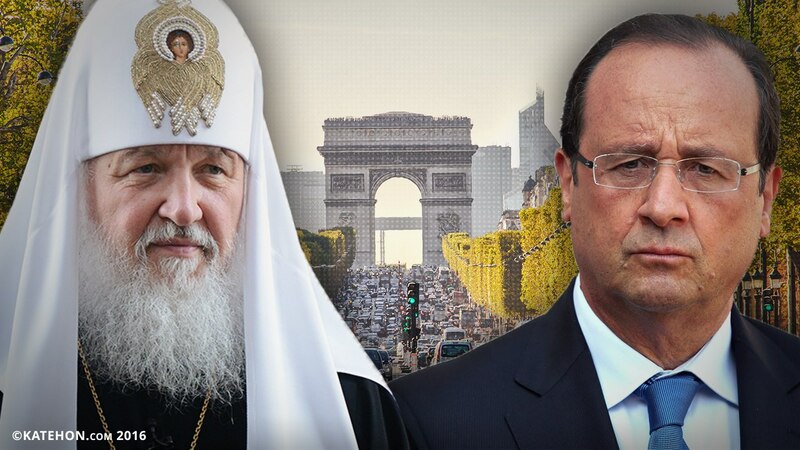 Thus, the point of the official Russian view will be conveyed to Europe through Patriarch Kirill, who previously maintaining official relations with Paris. Earlier His Holiness sent letters of condolences to the victims of the attacks to President Hollande and Patriarch Kirill had received a warm response from Hollande. Moreover, the Russian President has a greater influence on other French politicians, some of whom could become the next president of this country. In addition, Putin has a stable high rating among European citizens. This certain division in the spheres of influence between Vladimir Putin and Patriarch Kirill can perfectly illustrate the thesis of the "symphony of powers", supported by the Kremlin a few years ago and reaching the final stage of its implementation. Previously Patriarch paid a visit to the UK, where he met with Queen Elizabeth II and several other officials, according to the known data, in addition to religion they also discussed the Syrian crisis. After Paris, the delegation of the Russian Orthodox Church is going to pay a visit to Switzerland.